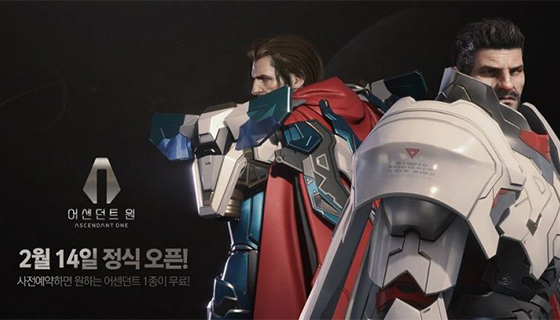 South Korea’s top game publisher Nexon Co. that is up for grabs in the acquisition market said on Thursday that its new online game Ascendant One is ready for pre-register. Ascendant One – developed by Nexon’s game development affiliate devCat Studio – is a five-on-five multiplayer online battle arena (MOBA) game, and its early access program was launched in September. The game will be reworked before its official service on Feb. 14. The official version will offer gamers not only battle contents but also a store where they can buy 26 different types of “ascendants” or characters customizing, and skins. Gamers who have already played its early access program will be able to play the game with the same nickname and on the same level. Nexon will receive pre-registers for the game via the game’s official website where users will be offered 10,000 bonus points in which they can buy one ascendant. Ascendant One is a strategic battle game based on unique view of the world added by Greek mythology and science fiction elements. Gamers use characters with unique skills to fight on the battleground.